Liverpool Airport Flight Delays - Your Right to Claim A Refund Up To €600! Located about seven and a half miles from the Liverpool city centre, Liverpool Airport sits in the southeast area of Speke. The airport experienced a period of tremendous growth between 1997 and 2007. Starting with about 700,000 passengers in 1997, 10 years later the airport regularly saw upwards of 5.5 million passengers annually. If your flight has been delayed at Liverpool Airport you can now claim for it! This busy period has subsided over the years, however. In 2012, only four million passengers passed through the airport. This is likely due to a decrease in travel throughout the U.K overall, and not related to anything particular about this airport, aside from the fact Liverpool isn’t traditionally an international destination. In 1930, flights first began to operate out of this then-unnamed location. Three years passed before the airport officially opened to the public. The airport’s original name was Speke Airport. The overall passenger experience at John Lennon Liverpool airport is considered to be generally positive. However, as with all airports, issues can occur. For a history of late flights throughout the UK see Airport delays page. Being delayed at Liverpool John Lennon Airport can drastically affect your travel plans. 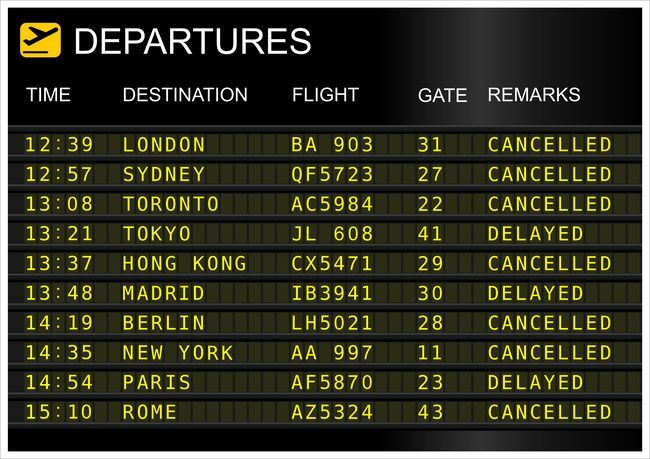 Government regulations allow for financial compensation in the event of flight delays. While the airport is unlikely to help you, there are other avenues available. Check out the link below to learn more about the potential financial payout available for your specific situation.